Wilderness Therapy Programs, also known as wilderness therapeutic programs and wilderness therapy camps, are a powerful source of help for troubled teens and parents of troubled teenagers. When it comes to reaching struggling youth and helping them transform their lives, wilderness programs have become synonymous with success. Over the last thirty years, numerous television programs and national print media have praised the effectiveness of wilderness therapy programs for troubled teens. For more information about wilderness therapy programs see the Association for Experiential Education. The reason why wilderness programs are so effective is that troubled teenagers and defiant teens are removed from the environment where their problem behavior started, continues, and is being supported (negative peer group). When troubled teens are placed in a healthy environment where they can deal with deeper issues and problems, it allows them to heal and experience a completely new and invigorating way of life. Additionally, wilderness programs for troubled teens engage youth in such a way as to help them recognize their difficulties are a consequence of their own choices. This recognition helps troubled boys and troubled girls to seek help and choose to live beyond the dark cycle of addiction, rebellion, crime, and gangs. At a wilderness therapy program, your teen will be living in the wild, but will never be alone. He or she will be with small group teens supervised and counseled by professional staff 24 hours per day. Professional staff are trained counselors equipped to support the therapeutic process. Wilderness-based therapeutic settings allow professional staff to get to know your child's real issues in a way that can't be duplicated in a traditional treatment environment. In the wilderness, professional therapeutic staff work with teens on a personal level, and therefore are able to tailor the treatment plan around the child's individual needs. Combined with a "lack of distraction" of the normal everyday life of a teen (i.e., lack of negative peers, lack of rap music, lack of a smartphone, etc. ), wilderness therapy allows troubled teens to make incredible gains and personal improvements over a short amount of time. 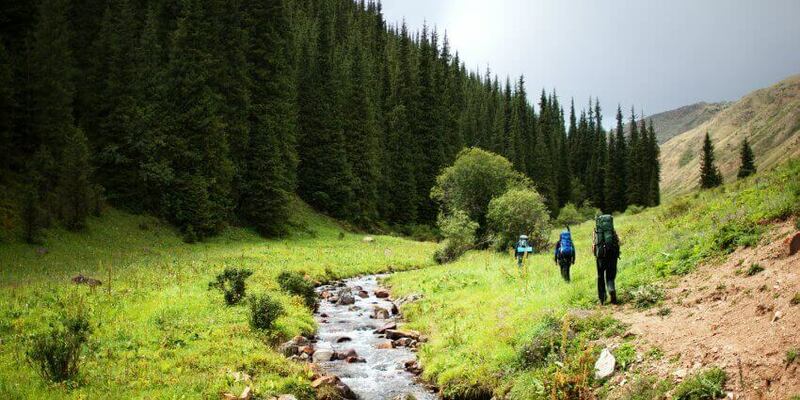 If you choose a wilderness therapy program your teen will be open to engaging in the therapy process. In a wilderness setting his or her sense of adventure will be enhanced. The outdoors is mentally and emotionally peaceful, and therapy becomes a "natural" process in this particular setting. In a wilderness environment, your teen will learn more about themselves and the world around them while working to overcome the issues that led them to need treatment. The wilderness therapy experience has proven to be extraordinarily impactful for troubled teens. During the wilderness programs, it starts with "getting back to the basics." Teens learn to control what can be controlled, and letting go of things that cannot be controlled. They learn to ask and accept help. They learn to work with others, to get along with others, and most important, they are able to slow down, think, and choose to act and behave in pro-social ways. A great thing about wilderness programs is the challenge. Challenges reintroduce important life experiences like "inspiration" and "motivation." And the best part they learn to set goals and take responsibility for their actions. Are you a parent wondering how a wilderness therapy program might help your child? If so, please know that wilderness therapy is a proven therapeutic intervention approach for troubled teens. They have been incredibly successful in helping teens overcome issues like substance abuse, anger, depression, rebellious behavior, and many other problems. For years, families with troubled teens have been getting the information and support they need from Zion Educational Systems. When you contact us, you can be sure that our educational consultants will find the program that is perfect for your teen's needs. Don't go through this difficult time without professional help. You can reach out to us today at (866) 492-945 and get the help you need.